Hey friends! I hope ya'll are having a great week! I wanted to jump right in today after talking a few weeks back about how we were looking for a new sofa for our living room. Don't get me wrong, our Ikea Ektorp has been so so good to us, but we bought it USED almost 6 years ago and well..she's seen some better days. It was always meant to be a "temporary" piece of furniture in our home, we always knew we were going to wait until the babes were just a tiny bit older to by something a little sturdier. 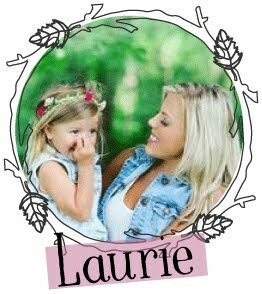 Now that the kids are almost 6 and 16, I feel like it's the perfect time to invest in something new! I did a little poll on (instagram) a few weeks ago asking for your sofa suggestions. There were 3 that were talked about to me REPEATEDLY. But first, I wanted to talk about my sofa "requirements"..
1. I need it to be COMFORTABLE, and wide. The Ikea ektorp is great but it's not very wide. If Nick and I want to lay side by side on the sofa, we have to remove the back cushions so we can both fit comfortably. 2. I need something that's easy to clean. Having removable and washable covers has it's strong points.. I love that I can wash the covers as needed, but taking them on and off can get a bit annoying. I need something that's stain resistant and that can easily be cleaned when things get messy. We live in our house, and things can get messy. I refuse to tell people they, "Can't eat in the living room" because I'm worried about my sofa..
3. I want something light in color, but NOT white. Like I said above, we're messy. I want something that I can easily clean, but am not constantly cleaning. Plus I change up my decor so much, I need something that can easily transition through my "moods", ya feel me? 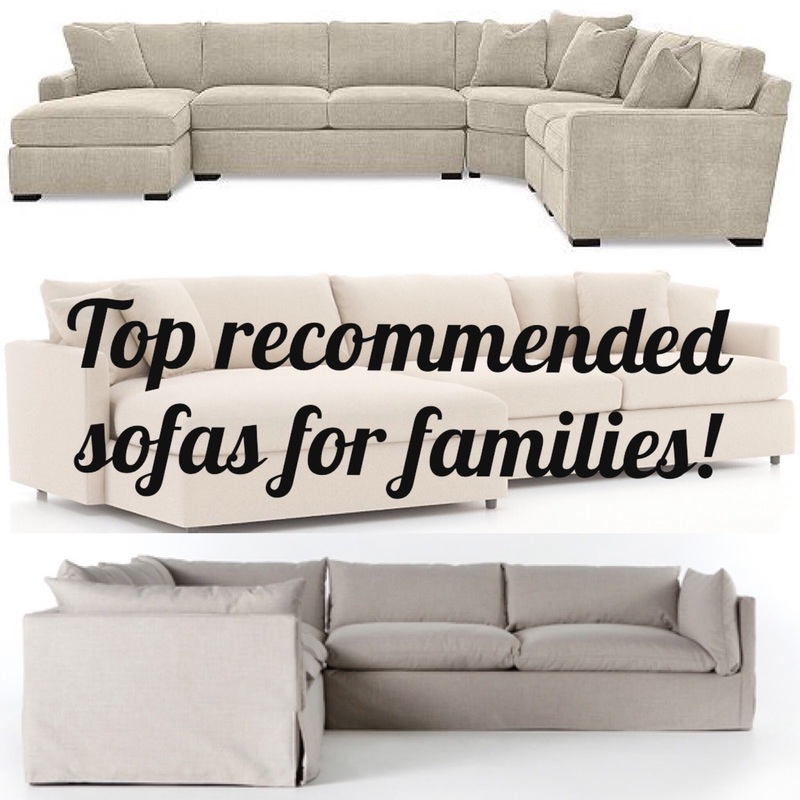 These sofas were the top recommended sofas for families! 1. Crate & Barrel Lounge ii // I think this one was the top recommended sofa of all the sofa's I'm sharing today- I like that they are so customizable and come in a TON of color options. The only thing throwing me off a bit is price, you guys, I'm cheap okay? I really don't want to spend $4k on a sofa. However, the reviews are amazing on this one! And it does look suppppper comfortable! Did I splurge? You'll see soon! 2. Radley Sectional From Macy's // This one also has great reviews and comes in tons of configurations! It also seems to be "family" friendly in regards to stains and what not. I can appreciate the price point of this one too. 3. Kearney Sectional // I love how comfy this one looks and the reviews are also amazing! Just like the other 2 sofa's I shared, you can customize this one with tons of fabrics and color options. I was looking for a sectional based on the configurations of our living room but really do love this one! 4.LULU & GEORGIA Sectional // This one was also brought up a few times and I can see why! I love the sleek and modern feel of it! Comes in a few different color options and looks crazy comfortable. 5.Plush 4 piece sectional // I was drooling so much over this sofa! I have been so impressed with the selection at Value City Furniture lately! My dining room table is from there, so it was one of the first places I checked for sectionals. This one looks so comfortable and dreamy, but I was a little leary about the light linen fabric color and the ability to clean it. 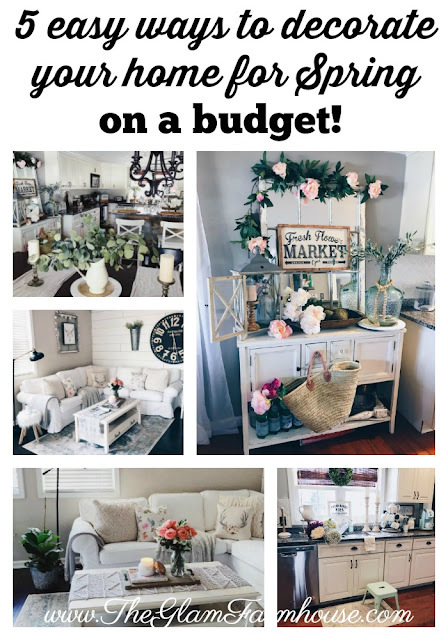 But it's budget friendly if you have your heart set on the cloud sofa from restoration hardware which runs around $6,000. So.. which one did we choose? You'll have to wait and see! Thanks so much for all of your suggestions and help regarding our couch purchase! They really did help and I appreciate you!